So… Yeah… Clearly… Zack, McCrae and Melissa were so into their conversation that they didn’t notice that Spencer disappeared and the broadcast ended. Seriously, so sorry you guys; I don’t even remember what we were talking about! (And… I don’t think I can watch myself to find out what it was that had us so distracted that we didn’t see Spencer drop). But there you have both videos to watch! And to all you folks out there that love King of the Nerds, please join the Nerd Army and help us make sure TBS renews King of the Nerds for a third season. As of the posting of this blog the fate of the show has yet to be determined so… Join the fight! Follow me on Twitter @thedolphinpoet. You can follow Spencer @SpencerBClawson, McCrae @mccraechum and Zack @Zadck3. Also, check out Spencer and McCrae for Big Brother Canada 2 recapping action via their show “On the Block”, which you can watch here and don’t forget to “like” and subscribe on YouTube. 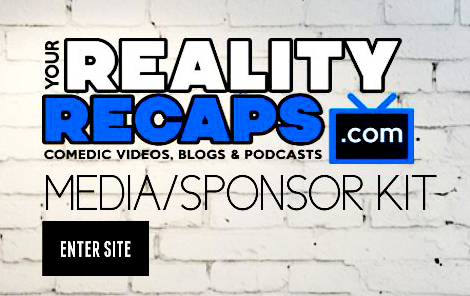 (Do that for Your Reality Recaps too, it really helps support everything we do). Thank you, TBS, for allowing Zack to join Spencer, McCrae and I today! Thank you Spencer and McCrae for hosting it! I had so much fun talking to all of you guys; being On the Block is awesome! Everyone has more fun On the Block and other On the Block jokes I can’t think of right now. Next Article THE WAR IS OVER: Elissa, Rachel & Amanda Are Friends!